City DPRD wants BUMD to be active and support the KUKMP Dept. to develop Jakarta Creative Hub (JCH).
" 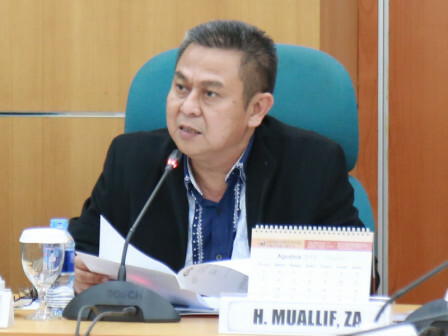 BUMD must help the government to invite locals to increase their potential through Jakarta Creative Hub"
City DPRD's Commission B Secretary, Mualif stated that Jakarta Creative Hub could grow rapidly in the future by involving BUMD. "BUMD must help the government to invite locals to increase their potential through Jakarta Creative Hub," he expressed, Thursday (30/8). Responding on this matter, City KUKMP Dept. Head, Irwandi explained that so far Jakarta Creative Hub has developed rapidly. The place is filled with young people who were interested in increasing economic creativity. "Now there has been a lot of training there, like fashion seminar, wood and so on. So they can study there," he said.